Exceptionally renowned composer Sir James MacMillan first burst into prominence in 1990 with The Confessions of Isobel Gowdie. A steady stream of works has followed, with commissions from many of the world’s major orchestras. A prominent part of his work is his religious composition, which includes settings of both the John and Luke passions, Tu Es Petrus (for the 2010 papal visit to Britain) and numerous smaller choral pieces. His works are heard all around the world – Seven Last Words from the Cross has been performed in 24 countries since its premiere in 1994, and his Stabat Mater received a private performance at the Sistine Chapel in 2018. He is a trenchant commentator on a wide range of political, social and theological issues, many of which spring from his commitment to the cultural life of Scotland. He is a passionate advocate of community involvement in music and set up the burgeoning music festival The Cumnock Tryst in 2013. Much of his music reflects his strong Scottish roots and interest in all aspects of musical tradition. 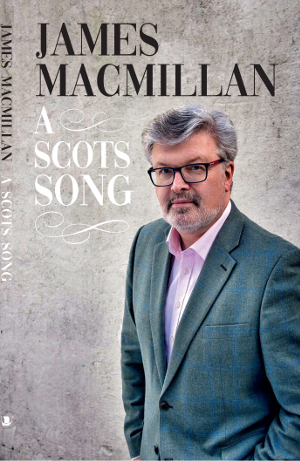 We are delighted to welcome him to St Andrews to celebrate his new autobiographical work, A Scots Song, and to hear from a distinguished master of his craft.